It was 12:30 p.m. and a few seconds away from the end of the lunch period. I couldn’t wait to facilitate an introductory lesson on Design Thinking with sixth grade students at Ashley Falls. I rehearsed my introduction that I planned to share with students in my head as the TV projected an image of an eagle with the words, “Design Thinking in the Eagle’s Nest” towards the back of the classroom. As I continued practicing my spiel, I realized this was all wrong. In my work as a Design Engineer, it is my goal to facilitate opportunities for inquiry, deep critical thinking, problem-solving and increased student voice and choice over the learning experience. So, why am I planning to tell kids the definition of Design Thinking and what I do as a Design Engineer? The bell rang and students began trickling into the classroom. Eyes shot to the screen and a few students uttered, “Design Thinking in the Eagle’s Nest?” As students settled into their seats, I introduced myself by name and position and left it to the students to fill in the rest. 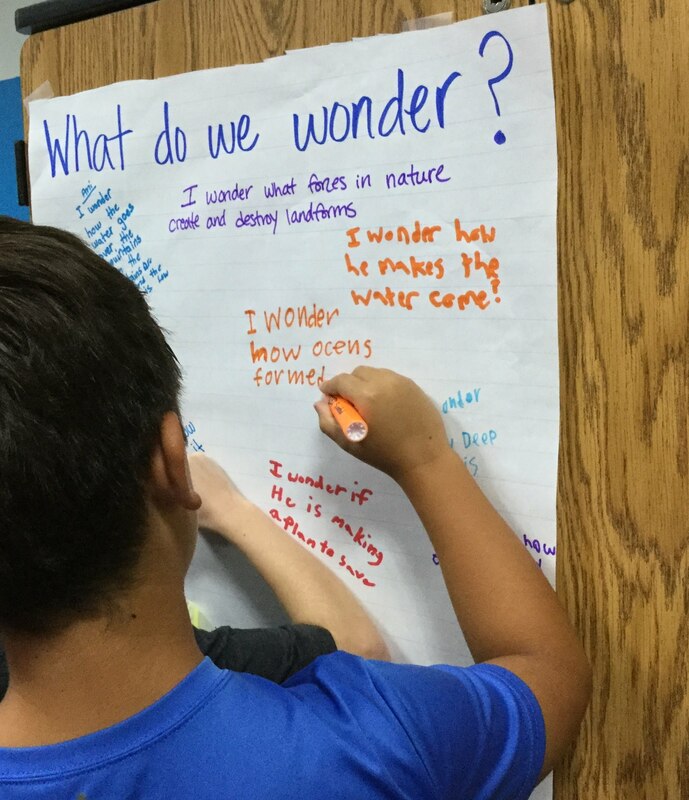 I continued by asking, “When you see the words Design Thinking, what comes to mind?” After a minute or so of thinking time, students were encouraged to share their ideas. Student responses included, “I think it means you think about how you would design something like a house,” and “It means to think outside of the box.” Intrigued by this last comment, I asked the student to explain what it means to “think outside of the box?” The student elaborated, “This means you think of new ways to do something. New possibilities.” As the student spoke, memories of scenes from the film, “Apollo 13” filled my mind, and I briefly described the events of the the mission to the class. This brief vignette built a sense of urgency for our work, and with that, we launched into our Design Scenario: “How might we, the student leaders at Ashley Falls, anticipate potential hazards during recess and P.E. periods to ensure the safety of all students?” Using observational data collected by the students, they identified a list of concerns and hazards that can cause student injuries. 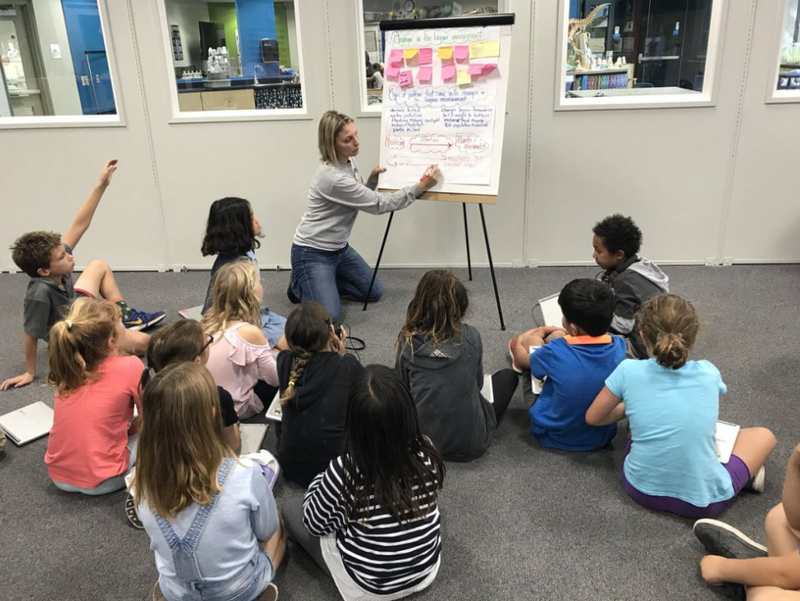 After analyzing this list for patterns, the students selected three concerns from which to brainstorm solutions, design prototypes representing their solutions, and share their prototypes with classmates to gain feedback. With only 20 minutes provided to design a solution for one identified problem, the students relied on their personal strengths and interests to demonstrate their ingenious ideas. Some chose to work individually, while others worked in groups. Some used straws, craft sticks, and cardboard to engineer physical models to represent their ideas, while others relied on their artistic and technological talents to draft 2D drawings in Google Draw or on a blank piece of paper. But all students, ignited their genius within to bring awareness to an authentic student need and develop plausible solutions. You see, we don’t lead this work because it is the educational buzzword du jour, or to “innovate” for the sake of doing so. We believe it is our societal imperative to empower our students with the applied skills and dispositions to be problem-seekers and problem-solvers. We need our Jimmys and our Janes prepared to find solutions to problems that we can’t begin to predict. Ready, set, jump! That’s exactly what the start of this school year and implementing Design Thinking has looked like over at Carmel Del Mar School in Room 303. And I must say, this start and jumping in has been so refreshing, just as an ocean dip feels this time of year. In my fifth and sixth grade combo class, reinvented and renamed as “Team 56”, we have plunged ourselves right into acquainting ourselves with the parts of the Design Thinking process as we have begun something called “The Shoe Project”. “The Shoe Project” has been an incredible diving board to spring us into not only learning the parts of design in an approachable format, but has also allowed us to intentionally connect as a new team of mixed grade level learners. “The Deep Dive” also known as the research part of the process, encompasses one of the most quintessential elements of the Design thinking process: empathy. Before any means of defining a user’s needs, brainstorming/ideating, prototyping, and collaborating a learner, or designer rather, must spend time accessing empathy for the user(s). As I fixated on the reality that empathy is the heart of the design process, initiating the start and success of the entire Design Thinking process, I could not help but see this as a great way to give my students a very genuine and organic way to connect with each other at the start of the school year. So what did this exactly look like in the classroom? In taking shape, we partnered up with a user from the opposite grade level within our our team and began interviewing our user about his/her shoes. Our shoes were our starting place that served as the perfect talking point to begin learning all kinds of information about the user. Interviewing took an entire forty-five minute session, as both users interviewed each other, getting to know each other, and learning about some subliminal needs we as users actually have in regards to our shoes. As a teacher, and one who is passionate about Design Thinking, I can’t help but highlight and note that the refreshing nature of the “Deep Dive” came out of the magic that happened witnessing my students diving right in. The smiles, laughter, engagement, care, curiosity, inquiry, and EMPATHY that drenched our environment was absolutely magical. The genuine excitement that had been ignited through interviewing a user to gain empathy in order to identify a user’s shoe needs naturally propelled my students into the design process. They couldn’t help but want to further connect and to present a possible solution for their user. 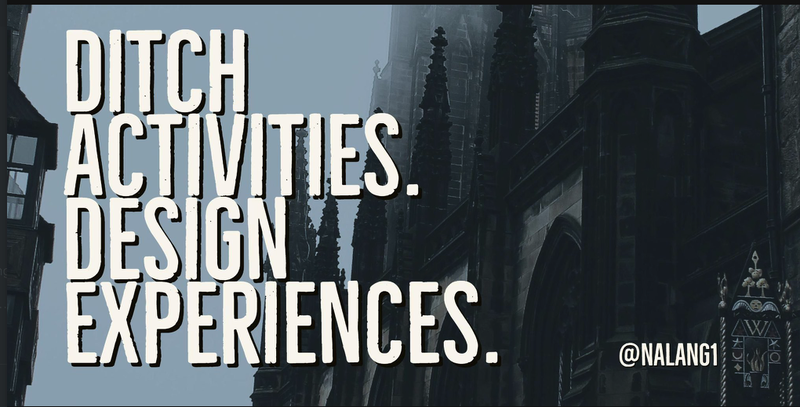 That being said, our next step is to conquer the ways to explicitly create a need statement for our user based on the information gained in our interview process, bringing the “Deep Dive” of the Design Thinking process to a close and moving us closer to presenting solutions. And that is what it looks like to get the heart of Design Thinking pumping. It’s magic. This summer, five teachers and four administrators attended the Design Thinking Institute at The Nueva School in San Mateo, CA. The 3.5 day institute took participants through the Design Thinking process, and then provided scaffolded learning experiences to understand the mindsets, curriculum design, assessment, and resources needed to implement Design Thinking. Instructors were both K-12 teachers and current students at The Nueva School, which provided various lenses through which to look at how Design Thinking impacts student learning and cognitive development. A key message from the institute is that the Design Thinking process fosters student creativity, critical thinking, and empathy, skills all students need to be successful in both college and career, and more importantly, to have a happy life.